Towards the end of the line, Hasbro found itself with excess stock of sets and parts that they needed to unload. 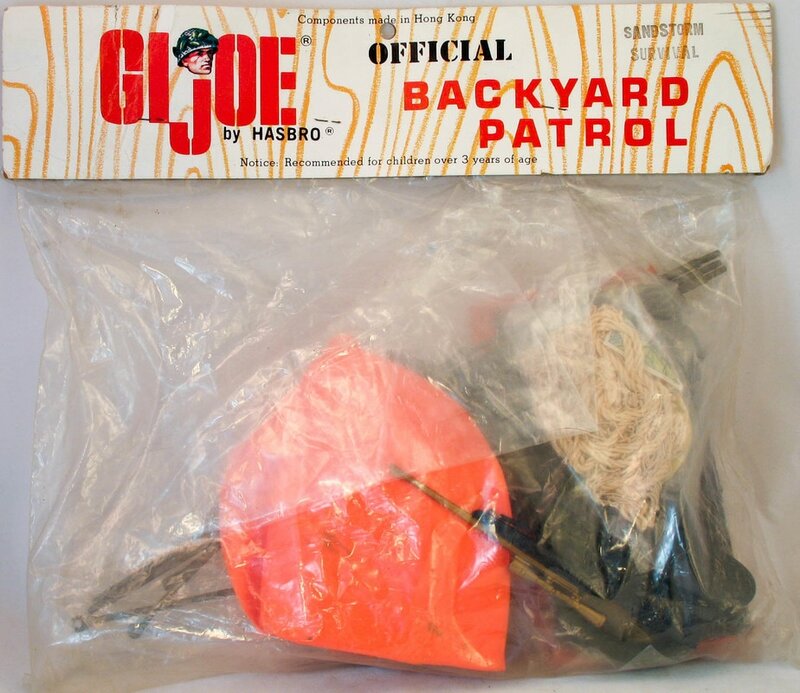 They revived the 'Backyard Patrol' name that they had used in the 60s for child-sized accessories. In the 70s the name represented their deep-discount accessories, bagged and stapled to a header card for display on a pin rack. Almost anything they found in the warehouses could show up in these bags. Photos above and below are just a sample of sets available. Often these sets were accessory bags that came with a vehicle or as part of a larger set and were sold without the larger parts of the assortment. Steve Stovall of our sister site 3DSuperJoe.com, and GI Joe and knock-off expert Les Batten put together lists of these sets they have seen. While likely not exhaustive, this is a good solid list of the BYP bags. I have linked the sets to pages of their original release versions. Hasbro of Canada also sold some overstock in a similar manner. Three known sets are the Sea Adventurer uniform, Adventurer uniform, and the Mike Power uniform from the Secret Mountain Outpost.